My mom took this photo in 1969 of my dad posing on his triumph in Torrance CA . There were alot of photos of my dad in this driveway, he was constantly building. As a kid I would spend alot of time going through my parents photo books , there were so many pics of the cars he would build but there was only one pic of his bike. The picture has been in a frame in their house for over 20 years ,it's a special photo for both of them. My dad never stopped creating through the years and am thankful he has given me his need to build . 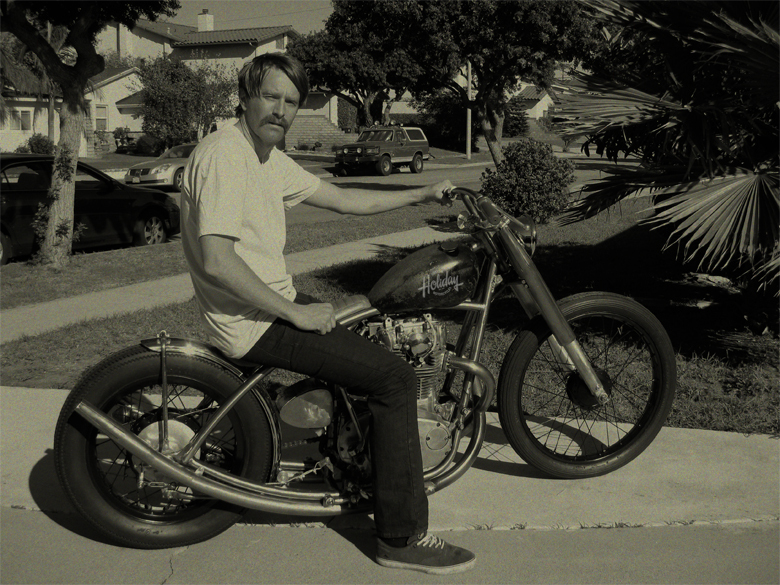 I recently finished my latest bike and wanted to re-create his old photo in that same driveway. We got into Torrance CA, after a two day drive from portland OR, and found the house where it all started.